When I returned from this last trip, I found a package waiting for me. 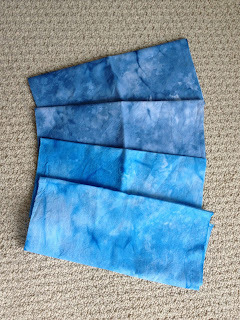 Inside were four beautiful pieces of blue dyed fabric that had been snow dyed by Kelly Hendrickson! I had totally forgotten that I had won them a few weeks ago in her Celebrate Snow Giveaway on her blog. 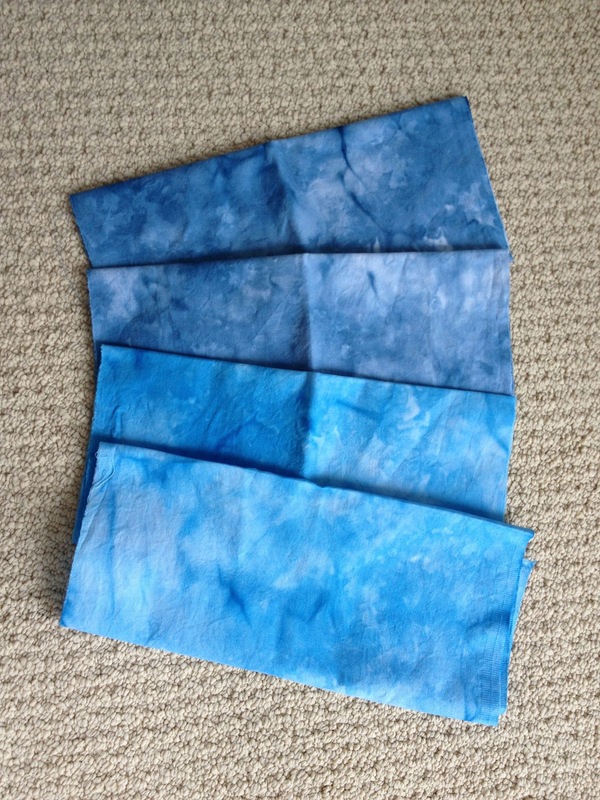 Kelly is still giving away snow dyed fabrics each week so be sure to check out her blog!